Considered as one of the sacred places to many religions, Israel offers a unique adventure, the kind you don't get to experience too often. The "Touring & Training - Israel Adventure" event includes 10 full days between March 29 - April 7, 2019. During these 10 days, you will be visiting the most beautiful places Israel has to offer such as; Jerusalem, Tel Aviv, Masada, Dead Sea, Sea of Galilee and many more! The holy land is also known for its amazing scenery from which you can benefit the most when it comes to training Krav Maga as it its birthplace! Enjoy all accommodation, locations & attractions including training with top Krav Maga Global instructors who will be instructing and conducting training sessions throughout the whole event! ☑️ Training with the source in the birthplace of Krav Maga! ☑️ Learn the most updated techniques of Krav Maga! ☑️ Meeting Master Eyal Yanilov, KMG President! ☑️ Travel to Dead Sea, Jerusalem, Tel Aviv and more! ☑️ Enjoy the best touring Israel & training Krav Maga event! Learning the Krav Maga Global system enables you to understand better defending, attacking, avoiding and experiencing more complicated and extreme situations with great efficiency. 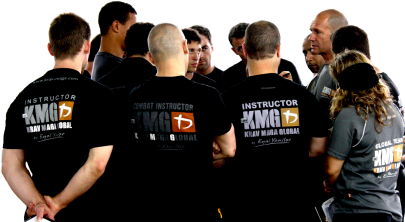 KMG’s Krav Maga is an integrated system of self-defense, combat and fighting, VIP and third-party protection. It is the leading system of its kind in the world, known for its practical and realistic techniques and tactics for avoiding, preventing, deterring, or otherwise handling all types of violent confrontations. Part of training is learning. Therefore, you'll experience the best Krav Maga instructors. Ilya Dunsky (right), Expert Level 5 in KMG (Krav Maga Global) will be conducting the upcoming Touring & Training - Israel Adventure event alongside Master Eyal Yanilov, Chief Instructor of KMG! You will learn how to attack, defend, use special Krav Maga techniques and tactics, avoid confrontations and escalating situations! NEW participants who arrive especially to Israel in order to experience Krav Maga together, while creating new relationships with other participants from all over the world! Together, they enjoy the genuine Krav Maga materials, travel and have the best time of their lives in Israel!